Last Monday we were expecting a spring storm. But, we didn’t expect the devastation it left behind. 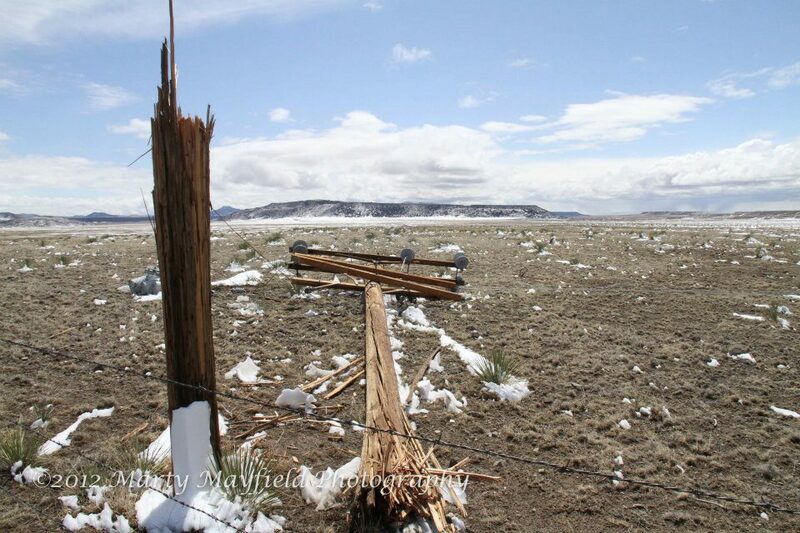 The storm itself was not long lasting and didn’t include an accumulation of snow but the high winds, wet snow and cold temps did a number on Northeast New Mexico. By 9:30 Monday night the electricity and cell towers were out. Before it was all said and done we lost our land line and roads were closed for two days. Most of us have what we need to survive for a couple of days. But, it’s rare that every single mode of communication is completely cut off. I have to tell you, this was a pretty interesting experience! When was the last time you had absolutely no way to communicate with the outside world and absolutely no way to leave your house? My own work (and my personal need to be “connected”) depends on the internet and a cell phone. Who knew I could survive for a few days without? This entry was posted in Uncategorized by Janice Morrow. Bookmark the permalink. I’m sorry to hear about the storm and the damage. Take care. It certainly was not on the level of a hurricane, that’s for sure! And, we’re all safe and sound! Thanks. Wow, those were some big bad winds! I love your first picture. I realize it’s a big storm for NM but nothing like the tornadoes in Dallas this week! Our families are safe and we still have a roof over our heads. I had no idea you had such a storm! Guess it would make us question a few things about our needs and our preparation. Folks did get some nice photos. I wish you some quiet and connected times. Thanks Donna! Yes, it’s good to have a few things stashed away just in case! Looks like a dry land hurricane blew through your area. Sometime I’ll have to post pictures of my place after hurricane Wilma demolished my house here in Fl. I do feel your pain! Yea, I am always grateful for the mild weather here in NM! We definitely do not have to contend with many forces of nature. 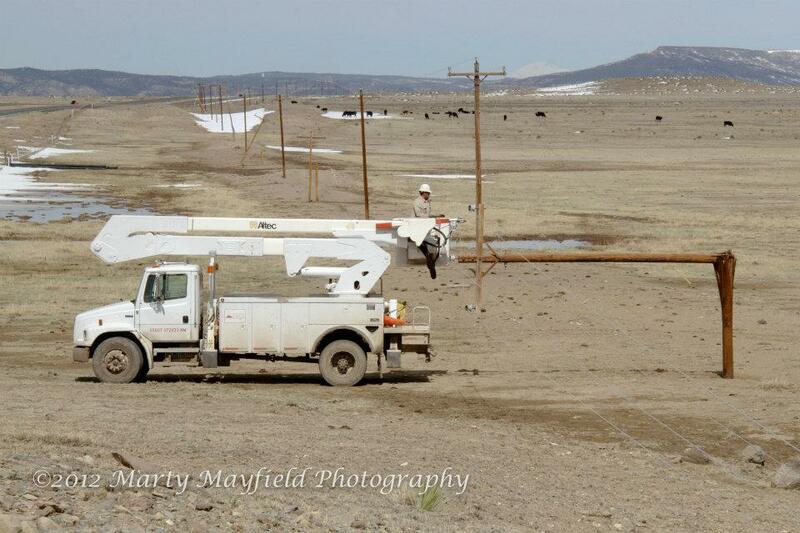 I dont know what you guys talking about, “dry land hurricanmy and milde weather here in NM my A…. we had 2 feet of snow and high drifts no phone till thursday till bacavalley set up a generator at the box to recharge the battery and no pwer till friday at 5 pm. What part of NM do you live anyway REAL RANCH WIFE?????? We’re not far from you but your elevation is much higher so you certainly felt more of it than we did, for sure! Wow – amazing photos. Yes, it is difficult to imagine being completely cut off from everyone – even for a couple of days. Whenever I hear of bad weather anywhere in the country, I immediately think of my blogging friends and wonder if they’re being impacted. Glad you made it through okay! I know it wasn’t too big a deal but interesting none the less! Glad everyone is safe & sound. Mother Nature sure is powerful! You are so right about Mother Nature! Wow! What a mess. This is when you light the lantern & spread out a giant puzzle on the dining room table. You can bet we do that a lot! mph winds for an hour between 10 – 11 p.m. That is the most scared I’ve ever been, watching the grass flatten in the ditches and the car rocking and rain falling in sheets. I was praying fast and hard. We had to pull off the road and wait out the storm. I’m glad you survived in the car! Afterwards…you can look back and know you can make it through things like that. Don’t they call it “character building”? Ha! Yes, definitely character building!